Vinification and maturing: Maceration for 11 days at 28° using pumping over technique, 30 months in big barrel (30Hl) and following 3 months in bottles, unfiltered. Organoleptic characteristics: this full bodied wine is garnet red in color and is complex to the nose; ethereal, dry flowers and spices. 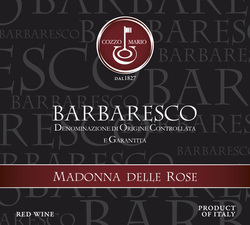 Elegant in taste, persistent with spices and red berries.